Catch up on Dave Robicheaux’s latest adventures. 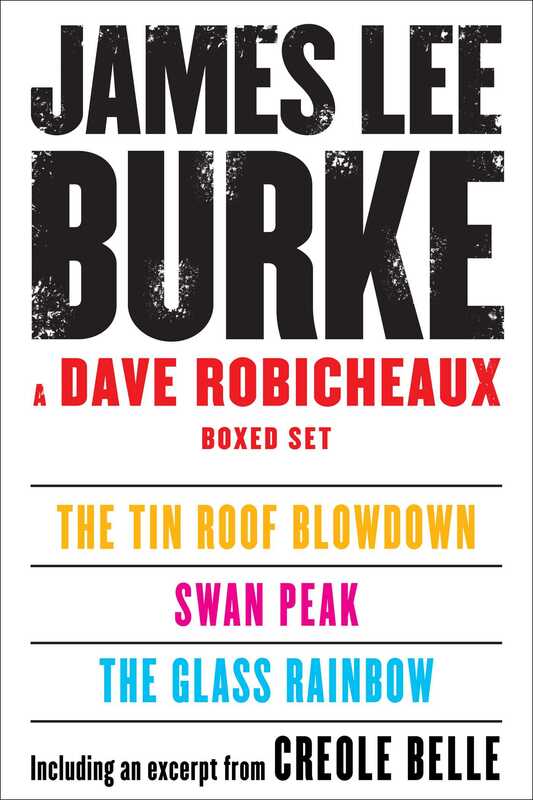 This boxed set includes the three most recent novels featuring fan favorite Detective Dave Robicheaux, The Tin Roof Blowdown, Swan Peak, and The Glass Rainbow, plus an excerpt from the next Robicheaux novel, Creole Belle (publishing July 2012). 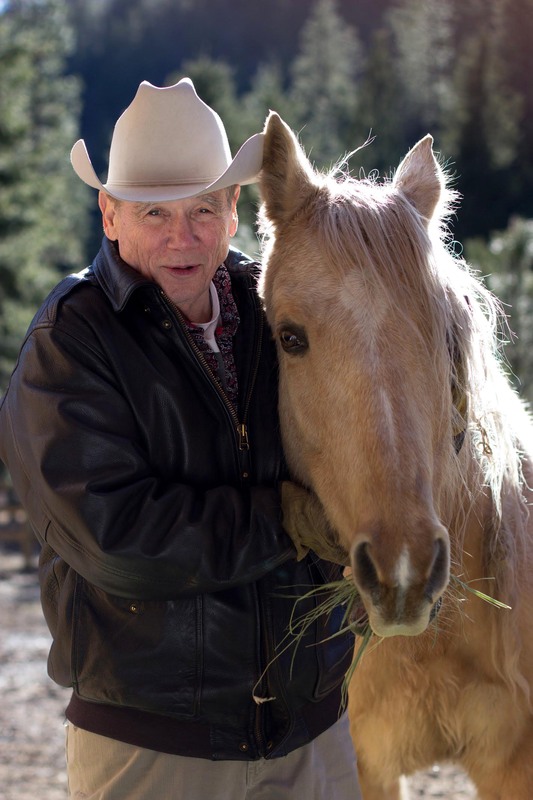 Robicheaux’s creator, New York Times bestselling author James Lee Burke, is a rare winner of two Edgar Awards and in 2009 was named a Grand Master by the Mystery Writers of America. In the waning days of summer, 2005, a storm of unfathomable force peels the face off southern Louisiana. This is the gruesome reality Iberia Parish Sheriff's Detective Dave Robicheaux discovers as he is deployed to New Orleans: Hurricane Katrina has left the commercial district and residential neighborhoods awash with bodies, as well as looters and predators of every stripe. The power grid destroyed, New Orleans is reduced to the level of a medieval society. There is no law, no order, no sanctuary for the infirm, the helpless, and the innocent. In the midst of an apocalyptic nightmare, Robicheaux must find two serial rapists, a morphine-addicted priest, and a vigilante who may be more dangerous than the criminals looting the city. Swan Peak finds Detective Robicheaux far from his New Iberia roots, fleeing with his wife and his old buddy Clete Purcel from the harsh, gritty landscape of post-Katrina Louisiana to a ranch in rural Montana. The serenity of the untouched wilderness is soon shattered when two college students are brutally murdered in the hills behind the ranch, and Clete and Dave are quickly ensnared in a dangerous mystery with a twisted cast of characters including a vicious oil tycoon, a sexually deviant minister, an escaped con and former country music star, and a vigilante Texas gunbull out for blood. All the while, Clete can’t shake the feeling that he’s being haunted by a ghost from his past: Sally Dio, the mob boss he sabotaged and killed years ago. Detective Dave Robicheaux and his partner, Clete Purcel, are on the trail of a killer responsible for the deaths of seven young women—a trail that always seems to lead back to the notorious pimp Herman Stanga, whom they both despise. But the case takes a nasty turn when Stanga turns up dead after a fierce beating by Purcel in front of numerous witnesses. Adding to Robicheaux’s troubles is his daughter Alafair’s romantic involvement with the scion of a once-prominent Louisiana family whom Robicheaux suspects is involved in some very shady business. To protect his daughter and clear his best friend’s name, Robicheaux will need every ounce of guts, wit, and investigative chops he can muster. Creole Belle begins with Dave Robicheaux in a recovery unit in New Orleans, not quite sure what is real and what may be the effects of the painkillers he’s been taking. While there, he receives a nighttime visit from a Creole girl named Tee Jolie Melton, who leaves him an iPod with the country blues song “Creole Belle” on it. Then she disappears. Obsessed with the song and the memory of Tee Jolie, Dave goes in search of her sister, Blue, who later turns up inside a block of ice floating in the Gulf. Meanwhile, an oil well blowout on the Gulf threatens the cherished environs of the bayous. In the face of public indifference to both the blowout and Blue Melton’s murder, Dave and Clete must find their own way to bring those responsible to justice.